Having met David a few years previously when I had given a talk about Craniosacral Therapy to a small group of trauma survivors, he had wanted to try the treatment for some time and was very open to anything that would help him. It was 12 years since the bomb attack and the following day he was due to attend the annual memorial service in London, so he felt it was well timed to have this treatment to address his physical symptoms. My first contact on David’s body was at his feet, where I stand to make a light contact to assess his Craniosacral system and the Craniosacral rhythm which informs me about how his nervous system is coping at that moment in time. From here I can also assess tension in his body through the fascia (connective tissue which has a nerve supply) and tap into any stress and strain in David’s body. It was apparent that there was still a huge amount of shock in his body which I feel as waves washing over him. His lumbar spine felt painful (lower back area) and his face and occipital (bone at the base of the skull) felt restricted and tense. It is common for the occiput to feel this way in many treatments on anyone with stress as in Cranial work we focus on the spine and bones of the skull as well as the membranes which cover the brain and sit internally within the brain protecting this very delicate area (the Dura). Basically we work with the central nervous system which sits in the brain and spinal cord. These areas of the body are very involved in the stress response. In a Craniosacral treatment we can ease these membranes and help the craniosacral system restore and this helps to bring the body into balance. With this balance pain often eases. I used common releasing techniques on the membranes in David’s skull which I believe had been severely impacted in David due to his exposure to a huge amount of energy from the bomb blast. Although this had taken place 10 years previously his body was still carrying that tissue memory and physical distortion in his membrane system had remained. The touch I apply is usually around the spine (David was lying on the couch covered in a blanket) and around the head where I worked on his cranial bones. 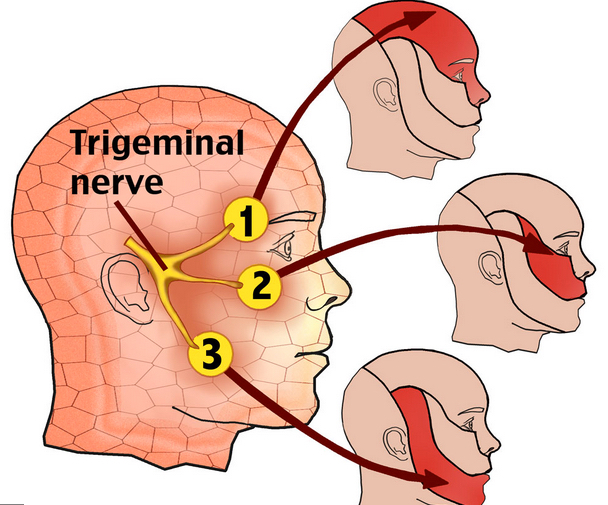 I also focused on the trigeminal nerve (https://en.wikipedia.org/wiki/Trigeminal_nerve) which is responsible for sensation on the face. All this was very gentle and light touch. As I continued the treatment David relaxed very deeply and his body started to release nervous tension with apparent jerks and spasms in his body as he let go and ‘fell’ into a place of stillness (this feels like to space you are in as you go into sleep or come out of sleep). When the treatment was complete David felt increased sensation in the left side of his body especially on his face, which he had not felt for many years. He said he particularly enjoyed the feeling of peace and softness in his body during the treatment. I find this feeling hard to describe as we seldom find this place in a conscious state – I can only say it feels like the deepest relaxation you can imagine and it is in this place the physical body has an opportunity to find balance and repair. The shock waves I felt initially had greatly dissipated by the end of the treatment. David has an unusually high awareness of the energy in his body (pain/discomfort/change) which I believe is due to the fact he regularly practices Tai Chi. However this is not a necessary prerequisite to a successful Craniosacral treatment as every ‘”body” is inherently wise and which, at a deep level, can restore and balance in a natural and gentle way. Progress is slow but sure as the nervous system seems to respond in a more profound way to a very kind and soft approach. PTSD is a complex condition but I believe treatments like Cranisosacral therapy can offer the body an opportunity to release held trauma in the tissues of the body, in a gentle way, and thereby restore health and well-being. 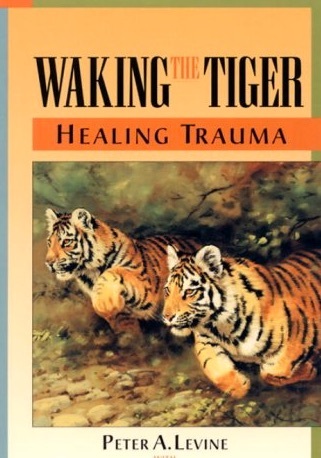 Trauma is an embodied condition and so the body must be involved in the dialogue of resolving that trauma. More releases happen to David as the treatments continued but this first treatment was already powerful in a positive way. It was my privilege to treat him and he teaches me so much as I support him in his recovery.